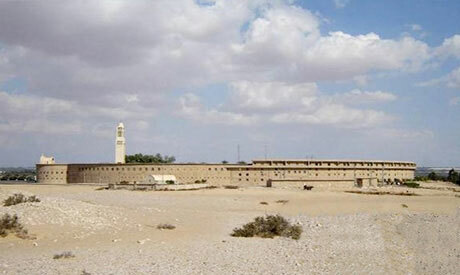 Egypt prosecutors ordered a recently defrocked monk be detained for four days pending investigations related to the murder of the abbot of his former monastery at the end of July. The decision by the Alexandria appeals prosecution today comes nearly a week after the Coptic Orthodox Church defrocked monk Isaiah El-Maqary as an investigation by the monastic affairs committee of the Holy Synod, the highest decision-making body in the church, showed he had committed actions unbecoming of a monk. El-Maqary was released from the monastery by church decree and ordered to go by his former, non-monastic name, Wael Saad Tawadros. The church had stressed that the monk was not dismissed from his ministry due to the investigations into the murder of Bishop Epiphanius, and said he had been investigated and sanctioned previously by the church before for breaking monastic rules. Following the death of Bishop Epiphanius, the Holy Synod, , issued new decrees prohibiting monks’ use of social media, media appearances by monks, and the construction of unlicensed worship sites. The decrees also included a one-year freeze on the process of initiating new monks, and a three-year suspension of the ordination of monks as priests and archpriests.